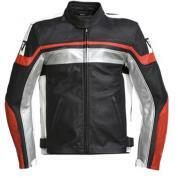 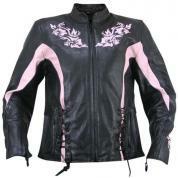 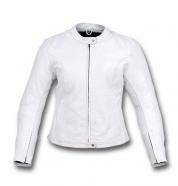 If you are the woman who is tough yet elegant, this white motorcycle jacket is surely meant for you. Crafted with100% genuine leather, this white leather has round neck with press stub button. 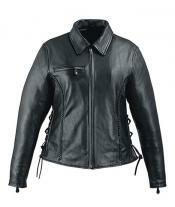 The sleek front zipper concludes into a thin hemline with a small snap flap. 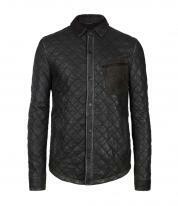 Long sleeves have zipped cuffs secured under a sleek flap.